Feeling very hungry after your workout? Regular workouts can boost your metabolism and increase your hunger. Although this has been scientifically proven, it shouldn’t serve as an excuse to pig out afterwards on burgers, fries and pizza. We often overestimate the number of calories burned and we end up eating more after the gym than our bodies need to build muscle. Or we eat the wrong things. Did you really burn the same number of calories as there are in a big bowl of ice cream on your leisurely 5K run? Studies have shown that we usually underestimate the calories consumed through food and overestimate the number of calories burned by exercise. Stay realistic when it comes to choosing post-workout foods. Of course, there is nothing wrong with having ice cream once in a while. But a full meal with complex carbohydrates, high-quality protein and good fats is a better choice after a hard workout. 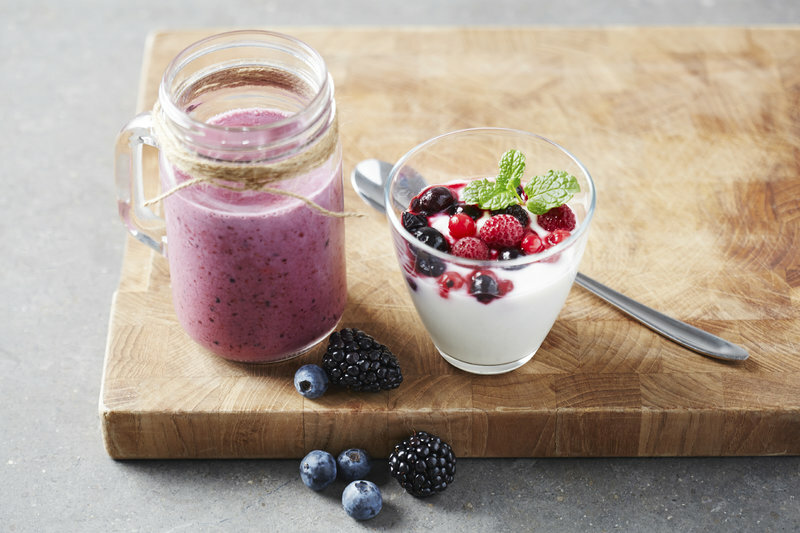 Or how about this healthy post-workout smoothie? Need more ideas on what to eat when you’re hungry after workout? Check out the favorite post-workout meals from our users and the nutrition guide for runners. Don’t forget that those who take their time and enjoy their food tend to consume fewer calories! 2. Ask yourself: Am I really hungry? After every workout, ask yourself the question: “Am I really hungry?” If you can’t answer this question with a definite “yes,” maybe you forgot to drink enough water during your workout. We often mistake sensations of thirst for hunger. So, before grabbing a snack, drink a big glass of water and see how you feel afterward. If you experience genuine hunger attacks after working out, then perhaps you haven’t eaten enough during the rest of the day. Regular meals help keep your blood sugar level constant. Thus, there is far less danger of overeating. How often you should eat depends entirely on your personal goals. 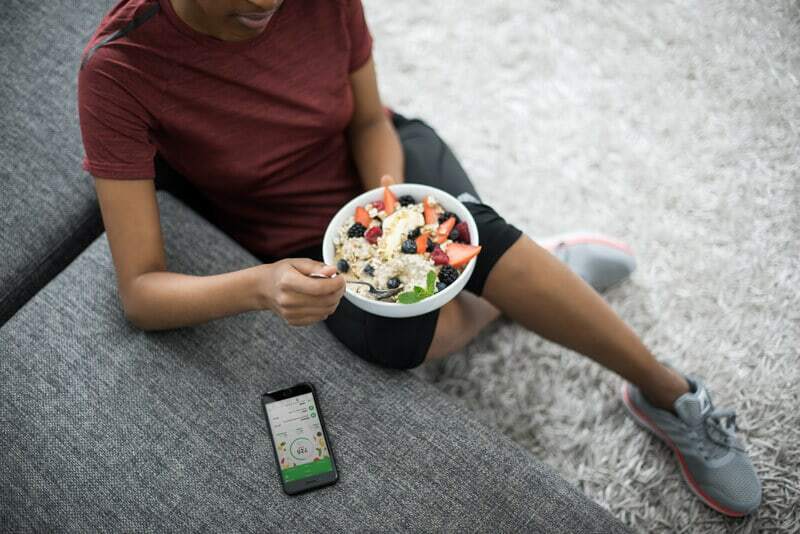 It doesn’t matter whether you prefer to exercise before breakfast, lunch or dinner, smart planning gives you the chance to replenish your energy stores with a wholesome meal. That way you won’t need to eat any extra snacks, and thus additional calories, between meals. We often torture ourselves with workouts we don’t really enjoy. We spend the entire time thinking of the sweet rewards awaiting us afterward. Try to change your way of thinking. Find an activity you like to do—it doesn’t matter if it is running, biking, bodyweight training or yoga. Exercise should be your body’s reward, not food. The most important thing is to listen to your body. If you are hungry, don’t ignore your growling stomach. Learn to interpret your body’s signals with intuitive eating and fill up your energy stores with a balanced meal. If you want to do something good for your body, then keep it fit and healthy!